So we've been to LEGOLAND Malaysia at least half a dozen times but I have not dedicated posts to writing on the theme park or water park. You know how sometimes you badly feel like doing something but end up procrastinating, and the more you procrastinate, the more you think "I guess this can wait". Yeah, this is one of those. Same as the other few dozens things I wish to blog about but have yet to do so. 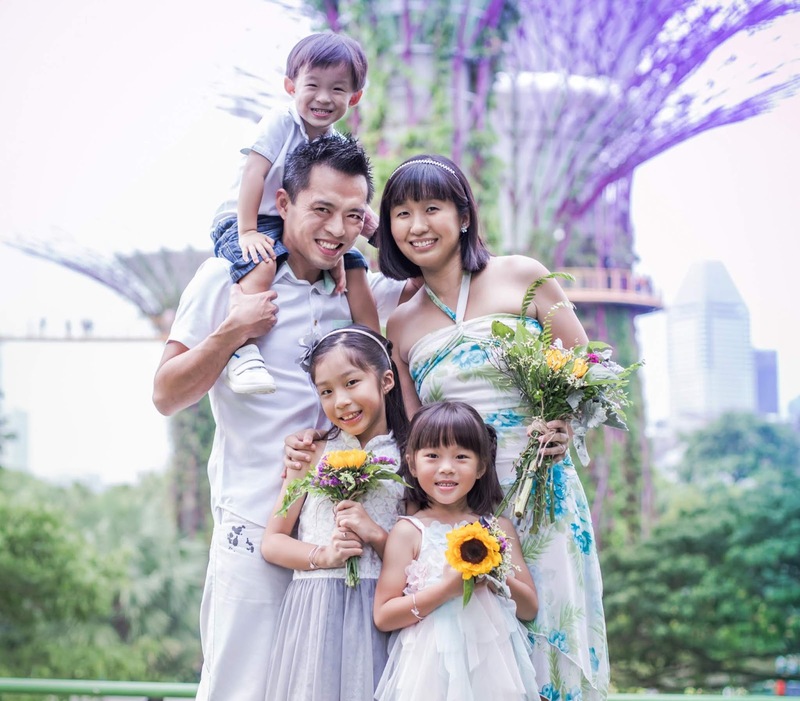 You know, like Angel's 4th year video, our trip to Pulau Ubin, our honeymoon and many more. You know, I can't name any kid who doesn't like to play in water. Not any. But parents, I've seen a few. When I heard that a friend was against the idea of going to any water park because she finds changing, getting wet and running after the child a hassle, I was really appalled. Imagine how much that child is missing out? All the thrills, spills, and fun-filled afternoons. My girls really love playing with water and if you give them a tub filled with water and two cups, they can somehow have fun for hours. That is mainly the reason why we wanted to have a bathtub in our toilet even though we stay in a HDB flat. It is pretty amazing how something as simple as water can bring about so much bonding, laughter and joy. 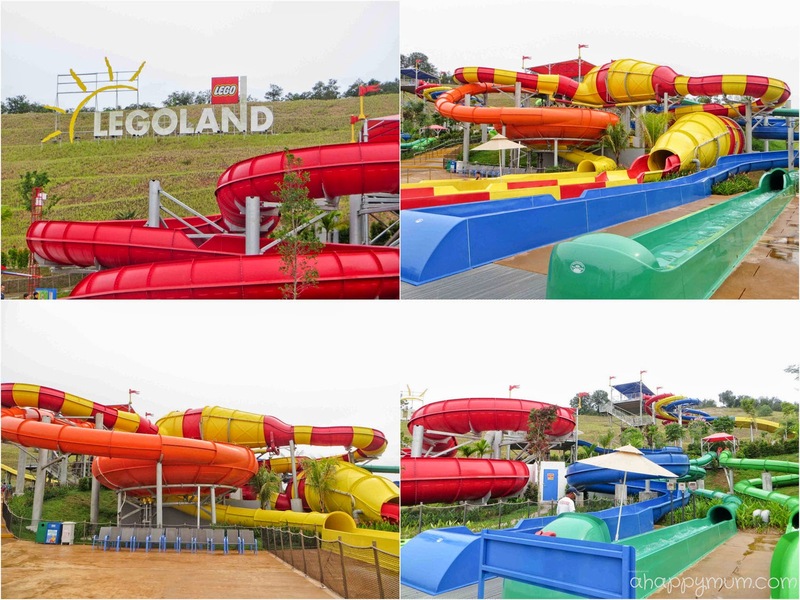 The LEGOLAND Malaysia Water Park occupies a space of 300,000m² and is said to be the largest LEGOLAND water park in the world. Right, it should be made known that so far there are only two other water parks - in California and Florida. Nonetheless, as a park dedicated to children under the age of 12, this is definitely a vibrant paradise for the little ones. With over 12 rides, 20 slides and 70 lego models in the Water Park for visitors to explore, I personally think it would be better to spend a relaxed day here instead of trying to cover both the theme park and the water park on the same day. This is especially so if you are travelling around with young kids who need their afternoon naps and might otherwise be unable to survive a whole day jammed with activities. If you are not staying at the LEGOLAND hotel (you can read our reviews here where we were invited for the exclusive media preview and here where we spent my 31st birthday there dancing the night away) and have your valuables with you, it might be helpful to note that lockers are available for rent near the park entrance, costing RM20 or RM30 for a day, depending on size. These can be accessed in a biometric manner where you can unlock them with your fingerprint. Cabanas such as the ones above are also available if you prefer to have some shaded privacy and rest. Each cabana takes up to four guests and features two deluxe chaise lounges, two seating chairs, two complimentary towels, safe deposit box and one table with DUPLO bricks. 10 complimentary drinks will be provided in the mini-fridge and no outside food and beverage is allowed. 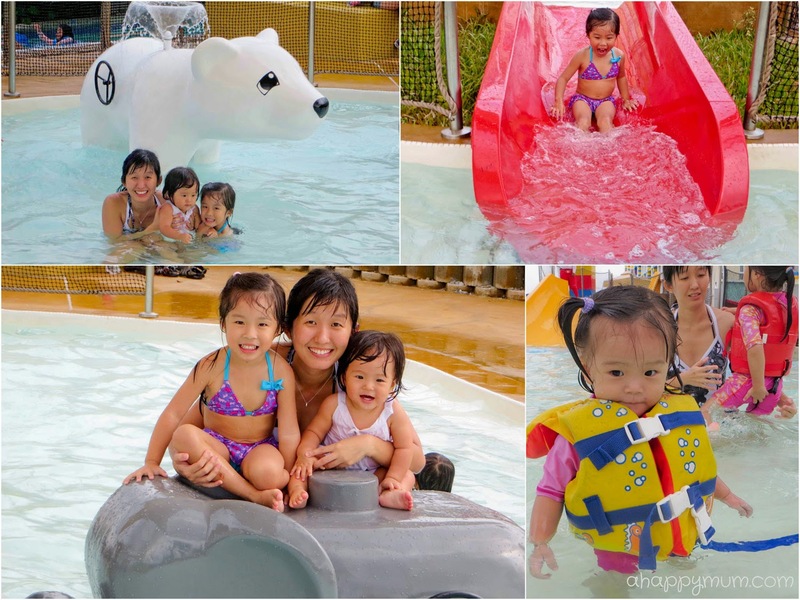 A full day rental will cost RM300 while half day (from 2pm onwards) will cost RM150. Since we were staying in the hotel and didn't need the lockers nor were we keen on the cabanas, you bet we were all ready to kick and splash once we entered the Park. Look, we were so thrilled that we got to meet Emmet - the main protagonist in the LEGO movie (you can read here on the 5 things we shared about the movie) who walked around the Park with a cheeky grin. As both our girls were still quite little, and may I say short, they were unable to participate in more than half of the rides. The more thrilling rides like Splash and Swirl, Tidal Tube, Brick Blaster and Slide Racer required a minimum height of 1.07m and others like Red Rush and Twin Chasers required a minimum height of 1.02m. Since Angel, who was standing at 1m tall, also had a phobia of riding down big, swirly slides on her own, it was not hard to come to a conclusion that we should just hang around the rides which were more family friendly. The LEGO Wave Pool was one which was suitable for the entire family to enjoy, given that it had ample space, gentle waves and was aptly located by the Beach 'N' Brick Grill where we could tuck into hotdogs and chicken tenders. The Imagination Station consists of two interactive tables where kids can build bridges, learn to control water flow and create their own water symphony. For me, it was a little challenging carrying the toddler up so she could explore and holding her in that position for just ten minutes was a test of arm power. If your child is one of those who loves to go to a water playground and wait below the giant pail for the water to fall, you might be happy to know that the Joker Soaker has a 300-gallon bucket! It also offers slides of different types and heights - children below 1.02m will not be allowed on the middle and top level slides. For the low level slides, they must be 91cm or taller, otherwise they must be accompanied by an adult. It was easy to tell that the kids' favourite attraction was the DUPLO Splash Safari. Designed for kids 5 and under, this play area features smaller slides and interactive DUPLO creatures including an alligator, polar bear and elephant. Finally, we found slides that Angel was brave enough to sit on alone! They may be really short in length but with three slides - blue, red and yellow, they suffice to let the little ones have a great time. By the way, life jackets are available for use within the Water Park free of charge. I think Ariel looked really cute in the infant one! As for my personal favourite, well, this one beats the rest hands down - the Build-A-Raft River. The water in the Build-A-Raft River is 76.2cm deep and even though there is no age limit or height requirement, do make sure to keep a lookout if you have a toddler with you. 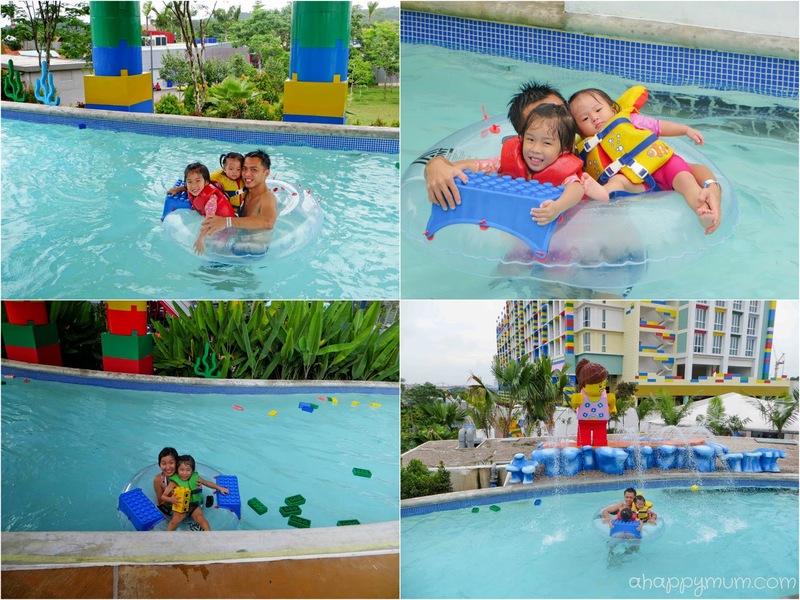 As you set afloat on a voyage along the lazy river, you can collect pieces of LEGO soft bricks to build your very own raft or just anything you like. Or if you prefer, just laze and enjoy the warm sun and blue skies! In fact, it was so comfortable that Ariel nearly dozed off after two rounds. Just to get a taste of the so-called thrilling rides, the hubby and I did take turns to get some me-time and try out the slides meant for the older children. The thing was, after riding two of them, I realised that they did not provide half the excitement as the rides meant for adults in places like Wet N Wild. So, since this was supposed to be a family outing and a time to bond with my kids, I decided to just leave these more challenging slides aside and patiently wait till the girls turn older so we can all have fun together. 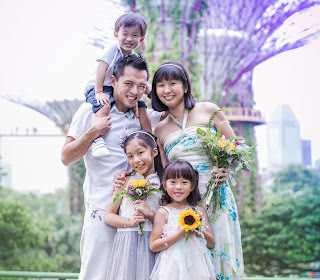 For the time being, we shall be content to just splash around, enjoy the sun, admire the sights, relish the simple joy and be thankful that we can be in this place as a family. That said, we will definitely be back for more! Thank you LEGOLAND Malaysia! 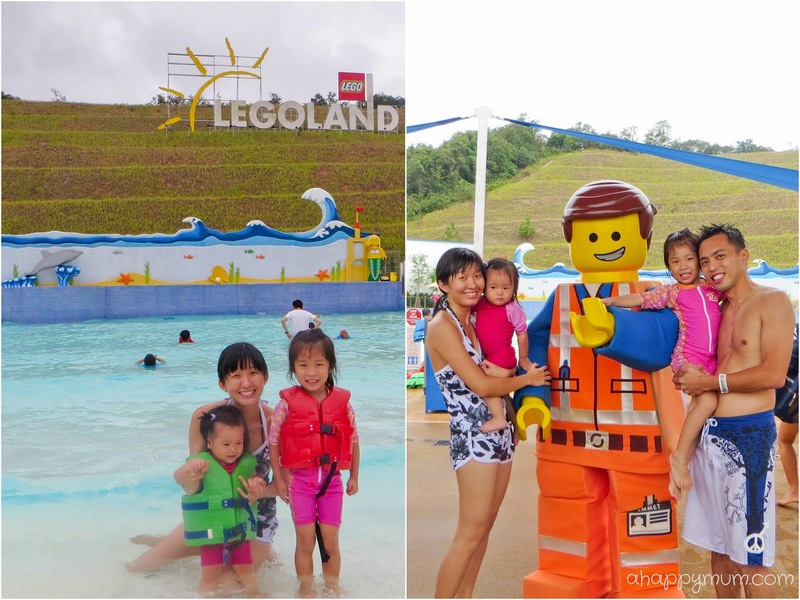 Book your LEGOLAND Malaysia Water Park ticket online here 7 days in advance of your visit date and enjoy 20% off! Disclosure: We received complimentary tickets to the Water Park during our media invite on both stays in the LEGOLAND Hotel. All opinions are our own. So timely! Am planning our first trip there.